Have a lot of fabric scraps? Make these easy crazy quilt blocks! 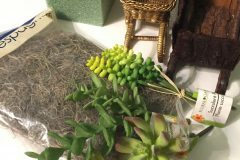 They’re great for quick and easy projects like coasters or placemats, or put a few squares together and try a more ambitious project like a tote bag or a quilt. 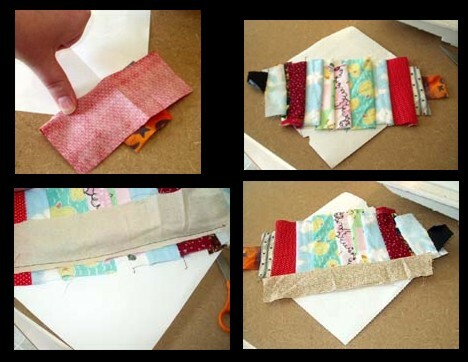 The basic process for making these is sewing scraps to a piece of stabilizer like interfacing, muslin, or light paper. I’ll get into the process of how to make the blocks in a minute, but first let’s talk materials. Stabilizer choices: You have two basic genres to choose from for a stabilizer. 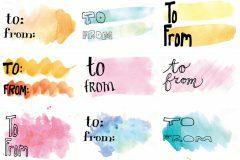 Either fabric-type stabilizer (muslin, other scrap fabric, or light interfacing), or paper-type stabilizer (tracing paper or plain newsprint from a pad). If you choose the fabric-type stabilizer, you can just sew and go. 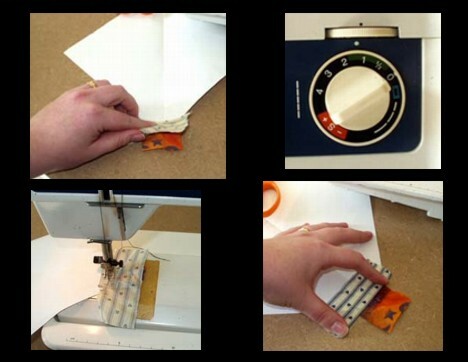 If you use the paper-type stabilizer, you have to remove the stabilizer after you’re done sewing. I recommend these lighter papers if you are going the paper route, because removing anything heavier than this is ANNOYING! For my quilt, I used good-quality printer paper (that had already been printed on one side and was supposed to be thrown away), and then it took FOREVER to remove it all from my quilt. 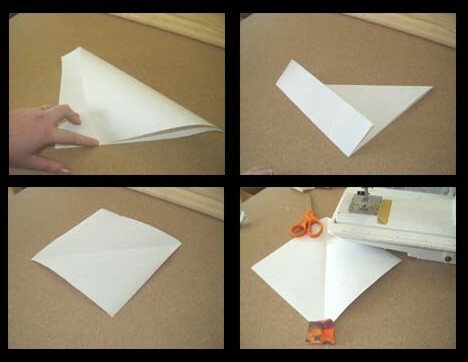 There is also such a thing as tear away paper specifically for quilting, and there’s also a kind of paper that dissolves when you wash it in the washing machine. Personally, since I don’t think you should invest a lot of money in a project like this (i.e. a STASHBUSTING project), I’d recommend using whatever you have on hand, with the fabric-type stabilizers being at the top of my list. If you can avoid the paper, I recommend avoiding it. Another cool thrifty option is to use old used dryer sheets for stabilizer. You just have to do a LOT of laundry. 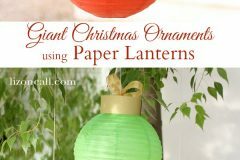 The drawbacks to these are that they are a lot smaller than a piece of paper, so you’ll need even more blocks if you’re making a big project. I used dryer sheets for the coasters shown above; they were a perfect size for that particular project. Scrap choices: Don’t try to match fabrics up, just use whatever scraps you have. The amazing thing about a crazy quilt is how once it’s all sewn together, it looks like the pink and orange actually go with the turquoise and brown. If you don’t have that many scraps, ask someone who sews if they have any leftovers (your grandma, mom), or just buy some remnants (leftover ends of fabric bolts at a fabric store — usually marked down from 25-75%), or recycle some old clothing. Each square will probably take you about 8-15 minutes, so it takes awhile to make a whole quilt. If you do it, put on your favorite TV series on DVD and sew while you watch. Even though this quilt takes awhile to complete, it’s actually not that tedious. It’s kind of fun to sew wacky fabric scraps together into something. And the fact that you are sewing without major planning does something for your creativity. If you don’t have time or patience for a quilt, four blocks would make a spiffy pillow or tote bag! 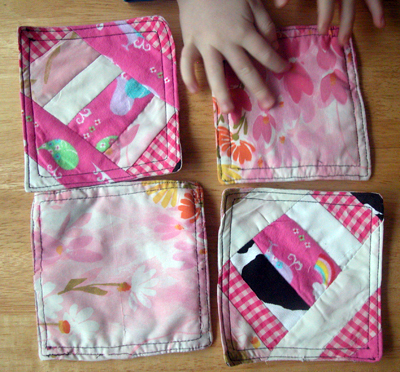 Or, put three blocks together to make a purse with a flap. You’re creative, you’ll think of something. Step ONE: Prepare your stabilizer. Square it up if it isn’t already. We all know how to make an 8.5×11″ piece of paper into an 8.5×8.5 square, right? Step 2: Put a piece of fabric face up on the corner, across the diagonal folded line. Make sure the fabric hangs over the edges of the corner. Step 3: Put another strip of fabric face down on top of the first piece of fabric. If you are using paper as a stabilizer, set your sewing machine stitch to fairly small (this will perforate the paper to make it easier to remove later). Step 4: Sew the two pieces together along the edge. Step 5: Open the fabric so both pieces are facing up, and finger-press to flatten them. Step 6: Repeat this process with other scraps of fabric, until you have covered the whole diagonal of the paper. Step 7: Put a long strip of fabric face down on the edge of the diagonal section. Sew across. Step 8: Finger press and repeat this process for both sides, until the whole square is covered with fabric. Make sure there is no part of the paper showing! Okay, now the square looks funky, right? Not really like a square exactly, anymore. And you may have sewed your rows kind of off center (like I did on this one). It doesn’t matter! 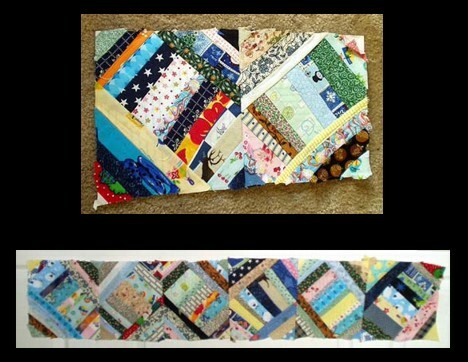 This is a crazy quilt block. Step 9: Iron, iron, iron. Step 10: Turn over and trim excess fabric. Step 11: Admire your new cool square! And repeat! I chose to sew these together so that the diagonal is alternating like this: /\/\/\, but you can lay it out so it does this: ////// or \\\\\\ or just let it do whatever it wants to do. If you lay it out alternating, like I did, your quilt will have a cool diamond pattern-y thing going on. The quilt pictured here isn’t actually big enough for even a twin bed, but I made 56 squares — phew! I’m just going to sew some strips of plain fabric around it until it is big enough to do something with. To complete the quilt, you will need to cut out batting in the same size, and also a quilt back (you can use an old sheet). You can either do some kind of binding around the edges, or do what I do and cut the quilt back larger than the front and fold it over the edges and sew around it, or you can make a quilt top, quilt bottom (facing the top), batting sandwich and sew around the whole thing leaving a decent-sized hole somewhere so you can turn it inside out and then finish the hole. 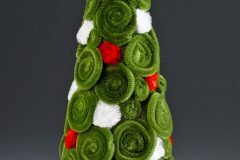 To “quilt” you can just use yarn or embroidery thread to make ties (google this for more info), or quilt any other way you know how or want to try. I seriously have to quit reading this blog. 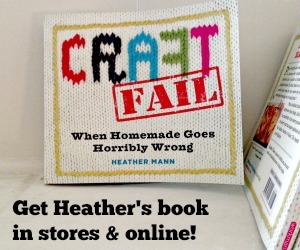 I love all the ideas so I go get the stuff and now I have piles and piles of to do projects and it’s stressing me out! But it’s not likely I’ll quit anytime soon. lol. Cute! And I love the coaster idea! I’ll be linking to this. Thanks for this post. I really, really want to start quilting one of these days. Haven’t done that before, but I want to. Everytime I read these kinds of posts, I want to do it more. So I should get busy instead of keep on reading all the time! 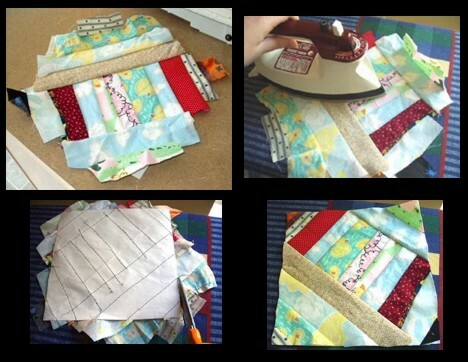 What a great idea for teaching a nine year old how to make her first quilt. You can not go wrong with this!! If it doesn’t come out exactly it’s ok for it’s a real “crazy quilt” what is wrong with going a lot crazy. Nothing!! 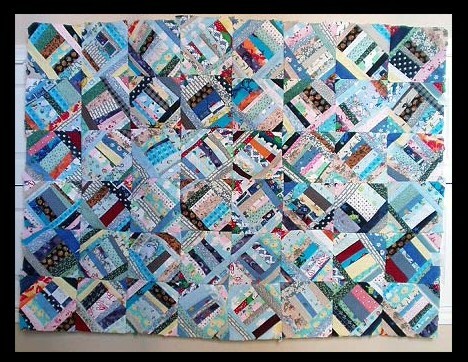 I originally skipped over this one because I thought “ugh, quilting”, but I looked at it today and I have to say that the directions you gave here and the way it is done, it looks like something that isn’t too hard and even I could do it. I have quilted before and it just wasn’t for me – to impatient, I guess – but using the paper – that’s a great idea. I would try this, I have tons of scraps. Thanks. This is an awesome idea. I love your blocks. They look like a great first quilting project. I also wanted to let you know that I featured you on my blog – sewbama.blogspot.com. Don’t pay a lot for batting. I just buy a quilted mattress protector from Ikea (about £5 for a double size here in the UK). I’m sure you can get something similarly cheap in the US from Walmart. It is light, easy to handle, lays flat for quilting and washes just fine.